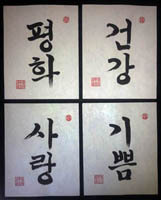 Custom hand brushed Korean calligraphy with your name, favorite phrases or poem for wall hangings or gifts. Hand brushed orders may range in size from as small 4x6 to as large as 13 x 26 inches. Each order is custom so prices may vary based on size & number of characters. 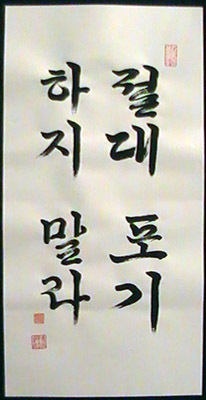 Korean uses both Hanja or Hangul characters. Non-Korean names are translated with Hangul characters. For commerical design, see Graphic Design. 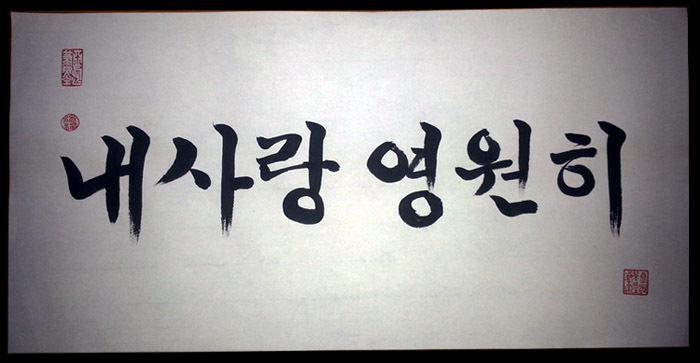 If you would like to get a digital Korean characters, please see Digital Korean Callgraphy. How does Korean language works? How does Hanja and Hangul used? How Is the translation done? 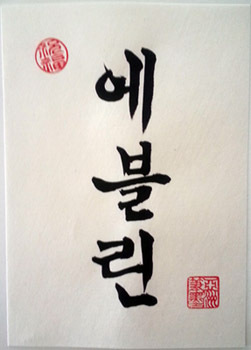 If you would like to have Korean calligraphy wall hanging matted with classic cloth backing, please visit Traditional Hanging Scrolls. How does Korean Language works? 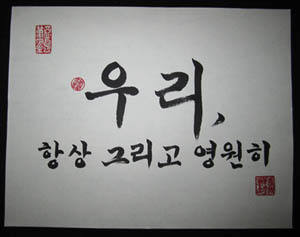 The Korean language uses two different characters system. 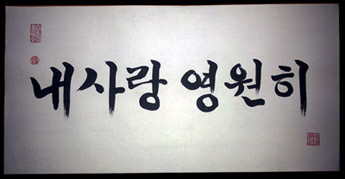 Though, the modern Korean text is mostly written in Hangul. Hanja characters refers to those characters were borrowed from Chinese and incorporated into the Korean language with Korean pronunciation. 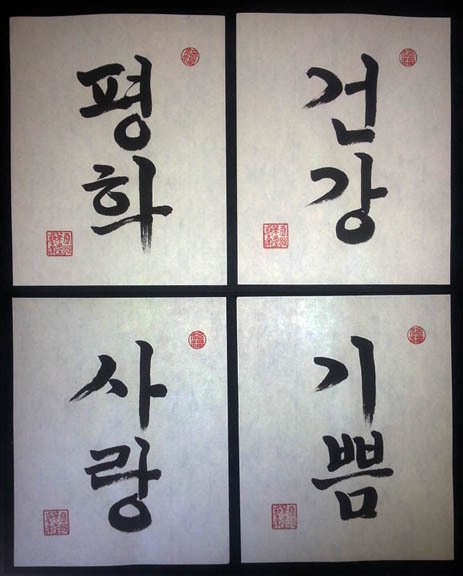 Since Hanja did not have a major reform in Korean's culture, they are almost entirely identical to traditional Chinese characters. 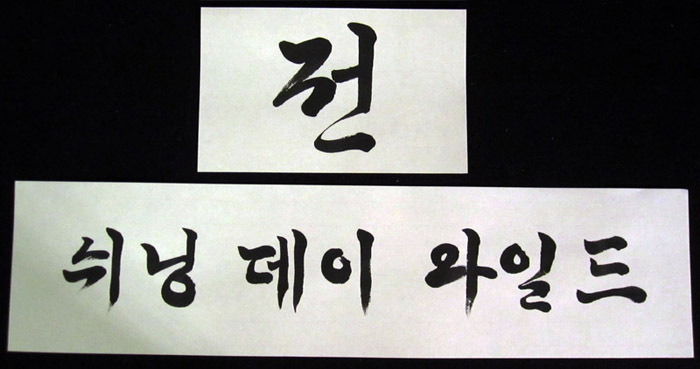 There are only some hanja characters are modified or unique to Korean. 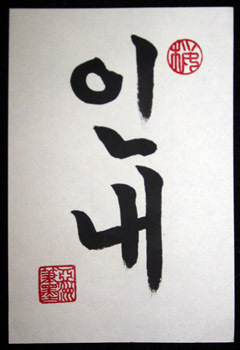 Hanja are ideograms, which mean that each character has its own meaning and corresponds to a word. By combining characters, more words can be created. This form of characters was used more often in older generation. Therefore, we usually suggest our clients that if being able to recognized a phrase/word as in Korean, it would be best to go with Hangul characters to avoid the confusing whether if it is meant to be Chinese, Japanese or Korean. 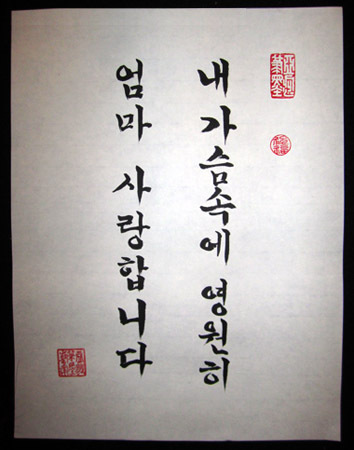 In the 15th century a national writing system was developed by Sejong the Great, nowadays called Hangul. 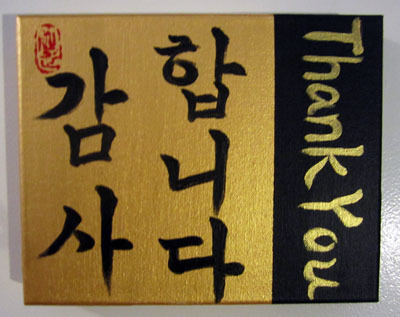 Hangul became the official writing system for the Korean in the mid-1440. 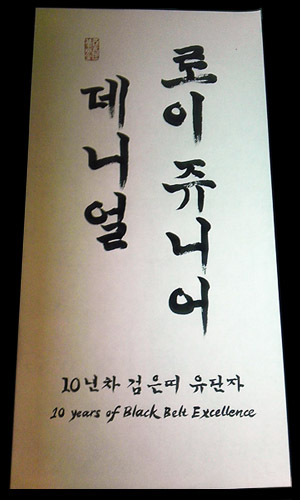 Because of the influence of Confucianism and of Chinese culture, Hangul was not widely used by scholars or Koreans of the upper classes until after 1945.Nowaday, hangul is widely used as the main character system. 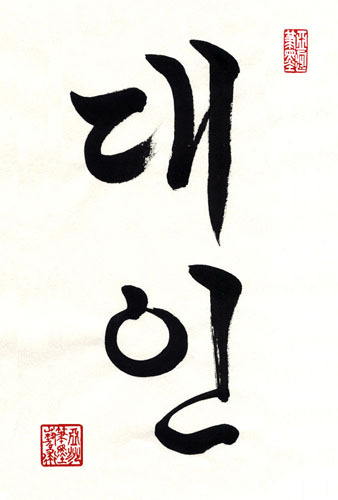 Hangul is the native alphabet of the Korean language.